We explore novel ways of controlling the electron spin and magnetic textures at the nanoscale for a wide range of applications. Our research aims at the exploration and exploitation of physical phenomena at the nanometer scale by manipulating the spin-dependent and magnetic properties and structure. Focus is on novel concepts that are of potential relevance for future nanoelectronics. Research themes include ultra-high capacity, ultra-fast and energy-efficient solutions for future memory and logic, integrated nanophotonics, magnetic sensors for automotive, high-tech engineered nanosystems, and magnetic nanoparticles for the health domain. Synergy is gained by combining our complementary expertise in magnetic thin film engineering, spintronics & nanomagnetism, scanning probe techniques and ultrafast laser spectroscopies. The group is well equipped with a rich infrastructure for thin film deposition and for magnetic, structural, transport and (time-resolved) optical characterization. Numerous research grants allowed us to invest significantly in our labs recently. Most equipment, including our unique NanoAccess facility for in-situ nano-fabrication and characterization, is available for external users. Please check out the TU/e vacancy pages for opportunities within our group. Even if no explicit vacancies are available, excellent candidates are stimulated sending an application letter with CV. 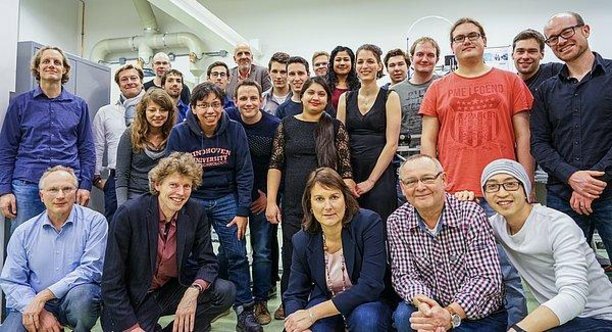 We are particularly interested in highly talented students who (nearly) completed their Master of Science in Experimental/Applied Physics and outstanding PostDoc candidates with a (nearly or recently) finished PhD with top-performance in spintronics, ultrafast magnetization dynamics and/or nanomagnetism. Please contact any of the scientific staff members or secretary Karin Jansen, c.a.m.jansen@remove-this.tue.nl for further information. The NanoLab@TU/e offers a unique combination of equipment for developing optical chips and other applications based on compound semiconductor technology. NanoAccess makes it possible to produce, process and analyze innovative materials with nanometer accuracy, without releasing the necessary vacuum. For a quick measurement of the magnetic behavior of magnetic thin film structures there is a home build MOKE setup available in the Magneto-Optics & Femtosecond Laser Lab. Our modern society heavily relies on ever increasing data capacity, internet bandwidth, connectivity and computational power for business, entertainment, safety and communications. Energy management and environmental footprint are among the most notable obstacles that need to be addressed to sustain further growth. Novel scenarios exploiting the electron spin rather than its charge, dubbed spintronics, are believed to provide ultra-efficient (integrated) memory and logic solutions, paving the way towards Green ICT. As typical examples, so-called spin-transfer torque magnetic random access memory (STT-MRAM) is about to take off, while the envisioned magnetic racetrack memory might provide an entirely novel 3D memory architecture scaling in superior way. Our group works on fascinating development just very recently discovered, such as switching via the spin-Hall effect and exploiting chiral spin textures, which are widely believed to be essential to further boost the field. Research within the NWO-Gravitation funded program Integrated Nanophotonics and embedded in the Institute for Photonic Integration (IPI) is about creating the technology for connecting seven billion people with each other and with the data centres that will provide access to the world's knowledge and information. This technology will support the Petabyte datastreams exchanged, defining the future internet, and facilitating ‘the internet of things’. 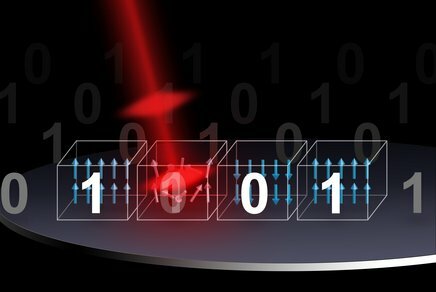 Within this center our group explores disruptive new concepts for hybrid spintronic-photonic devices, envisioned to interface high data-rate photonic communication with magnetic (buffer) memory in a highly energy efficient way. In automotive sensors, new requirements of increased engine efficiency and reduced emissions ('Green Driving') can only be met by more accurate control of engine functions, which could be realized by using modern magnetic nanostructures. However, the implementation of these nanostructures in automobiles is far from trivial, since excellent robustness against high magnetic fields and high temperatures are essential application requirements. Together with NXP semiconductors, at FNA we explore new routes to meet these fundamental challenges by atomic engineering of multi-layered nanofilms, advanced experimental tools and by modeling the underlying physics processes. 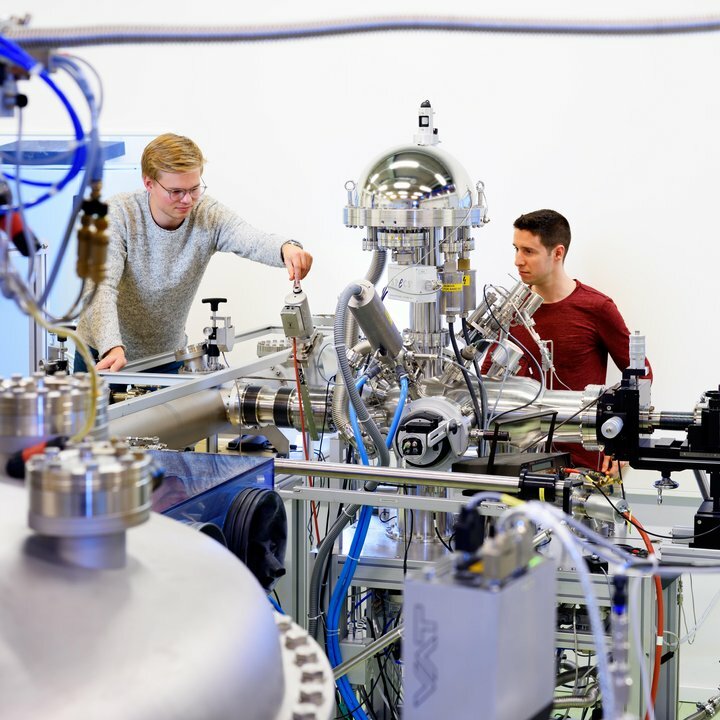 Controlling matter at the atomic / nanometer scale provides new routes to address the most important societal issues, including energy supply, scarce materials, fighting climate change, smart mobility and health. With the completion of our NanoAccess facility (enabled by NWO, NanoLabNL and TU/e and its completion strongly supported by NXP, DIFFER, Holst Center and various academic partners), we created a truly unique system for depositing atomically controlled nanofilms, and their in-situ characterization and manipulation at the nanoscale. This facility is especially set-up to host external users. Among them is the Dutch Institute for Fundamental Energy Research (DIFFER, our neighbor at the TU/e campus), performing fundamental energy research on solar fuels. The facility will allow exploring novel materials combinations, to tailor catalytic structures at the nanoscale, and to investigate critical steps for the photo-catalytic reactions by means of electronic / spectroscopic characterization. 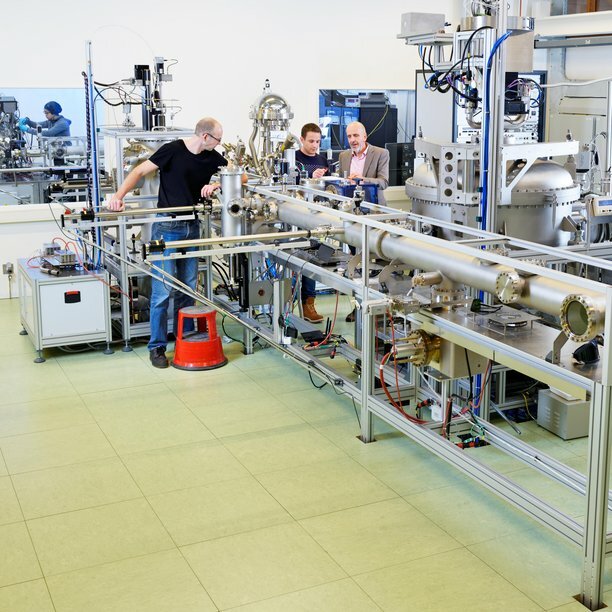 The group is proud of its high-tech experimental infrastructure, including the NanoAccess system, a dedicated (ultrafast) laser laboratory, and a suite of scanning probe and electron microscopy facilities. Many of the state-of-the-art-techniques are non-standard and are really performing at the forefront of technological abilities. As a consequence, experimental research and further development of technology go hand in hand. We feel privileged being able to directly work in collaboration with our supplying partners on pushing technology just a little bit further – boosting the development of high-tech systems. With FEI company we have been working on novel processes for 3D nanoprinting on the nanometer scale (so called FEBID), but also with our partners on the NanoAccess system, viz. Omicron nanotechnologies, RHK/Schaefer and Bestec, we foresee contributing to breakthroughs in, e.g., scanning probe methodology and thin film deposition. Students are very welcome in our group to participate in one of the ongoing research projects. We have a long-lasting tradition of hosting a large number of Applied Physics students in their Bachelor or Master program. These projects cover a broad range of possibilities in the field of new experiments related to the physics of (magnetic) nanostructures, designing or installing new high-end instruments, and/or contributing to the physics by developing theory, modelling, or using numerical approaches. Please contact one of the staff members to get more information, e.g. on actual projects or how to get in touch with students now active at FNA.